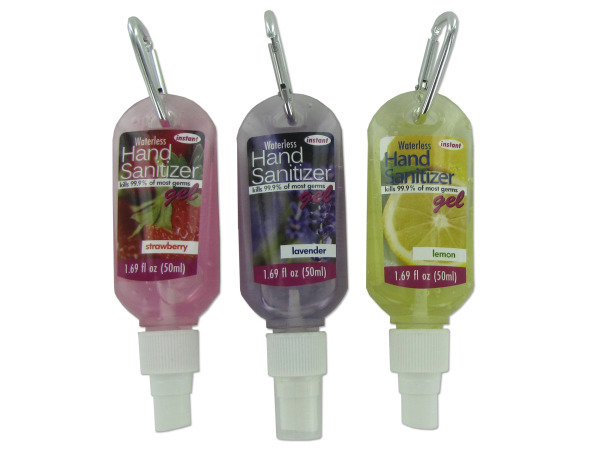 The hand sanitizer with clip is a convenient way to keep hands clean and germ free! Attach to belt, key chain, purse, backpacks and more! Kills 99.9% of bacteria. No need for water or towels. Just pour onto hands and rub until dry! 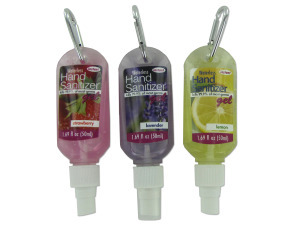 Comes in 3 assorted spray scents: lemon, strawberry and lavender.